A lovely addition to your fireside. This folding log basket / holder is crafted from strong steel that has an antique pewter finish electroplated on to give a rustic finish. The pewter "strapping" detail is a more modern take on the traditional blacksmith finishes. The hinged centre allows you to close and fold up the storage basket if not in use - for example during Summer months. 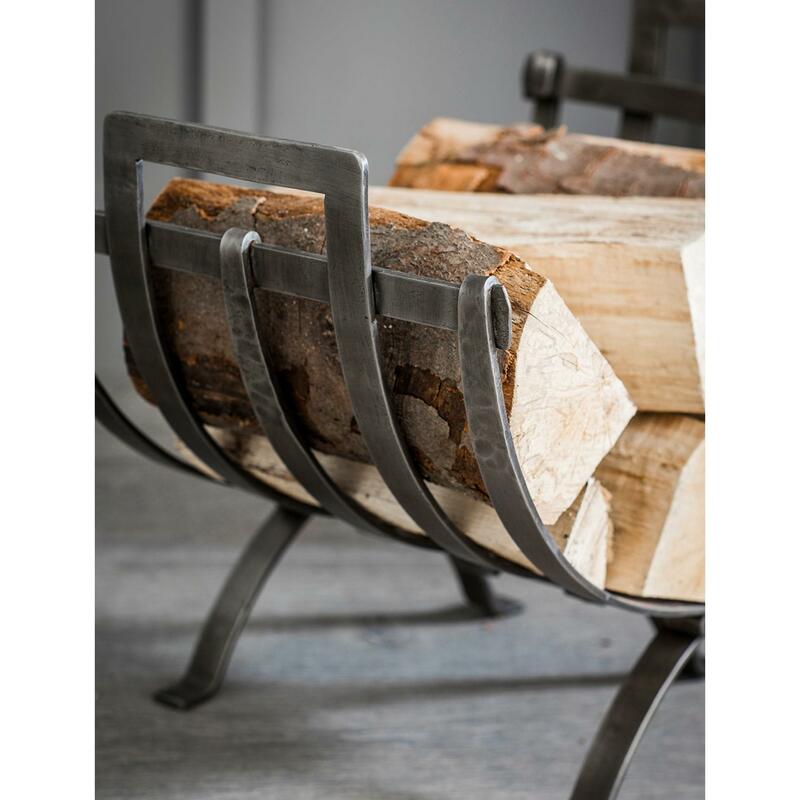 Ideal for smaller rooms, the log basket holds enough logs for small fires and log burners . Due to the handmade nature of this item, welding markings will be visible, yet we think they add to its industrial appearance.